Innovation in treatments and business strategy, along with increasing emphasis on consumer marketing, are shifting talent acquisition plans in the global healthcare and life sciences sector, as revealed by Boyden’s latest Executive Monitor, which offers an in-depth look at current business and executive hiring trends in the industry. Globally, the Healthcare and Life Sciences sector is facing many challenges that are resulting in disruption along management, technological, and regulatory lines. While the quality and access of healthcare remains uneven among regions, there are more opportunities than ever to provide better value to patients while being more cost-effective. Many countries are under increasing pressure to stretch their dollars as a greater proportion of the populace ages and is diagnosed with chronic diseases. Consequently, governments, pharmaceutical and medical technology companies, and healthcare providers are breaking down traditional methods of treating patients. Thus far there has been measurable success in technological and supply-chain innovation, especially with the increased use of big data and evaluation of hospital efficiency based on patient outcomes, as opposed to traditional metrics such as the cost of each department, patient surveys, and wait times. 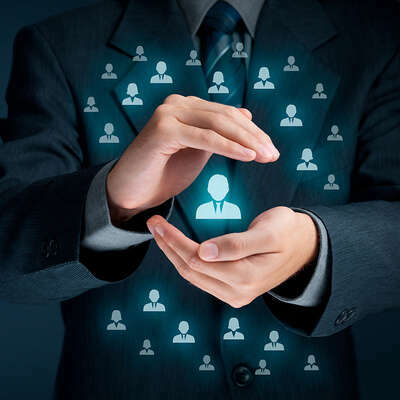 Executives in the sector will continue to face financial and regulatory challenges; at the same time they must look for enhanced ways to meaningfully connect with patients and improve operational effectiveness. Various factors are converging to change the landscape of the traditional Healthcare and Life Sciences sector. Patents are about to expire on many blockbuster drugs. Accordingly, firms will have to find new sources of revenue and cut costs to increase profitability. Two critical components for success will include developing top marketing strategies for new products and delivering these products to the developing world. These shifts are impacted by the rise of generic drugs, imminent not only because of expiring patents but also due to their lower cost of production. The effect of these trends in available and affordable drugs especially benefits developing countries. Big data will play a larger role, as companies embrace digitization. This can help traceability of products, areas of risk or growth, and promote intelligent forecasting. Not unlike the healthcare industry overall, professionals and executives in the medical technology subsector require a highly technical skillset. Given the shortage of qualified professionals in other sectors, it is important for the information technology sector to attract and retain skilled employees and executives. A promising area in the field which presents exciting opportunities for both technical and management professionals is DNA sequencing. DNA (or gene) sequencing is the process of “finding a single gene amid the vast stretches of DNA that make up the human genome.”16 This innovative method has led scientists to medical discoveries and prompted new research in the field. In addition, scientists involved in big data are attempting to utilize DNA sequencing as a means of storing data. Researchers at Harvard University have stated that it will “soon be possible to store the entire content of the entire World Wide Web within just 75 grams of DNA material.” This is still not a cost-effective approach, but scientists expect it will not be long before this theory becomes reality.17 Professionals with an eye toward innovating, especially, will be in high demand as companies specializing in this nascent field advance the science. 3D printing, which will allow customization for each patient, as well as the “ability to individualize a therapeutic or surgical device.” Manufacturers must find ways to assess the safety and effectiveness of each product; until then the future of 3D printing in the healthcare industry remains ambiguous. The natural expansion in the implants market due to a growing aging population will also create new opportunities for devices and the communications and technologies that support them. There will be an increased demand for immunoassays to address the development and use of biologic therapeutics. Molecular diagnostics will play a greater role in screening, diagnosis, and even treatment of many diseases by identifying associated genetic variants. The emergence of microRNA (miRNA) diagnostics is expected this year. Device developers will have to provide greater transparency in order to secure reimbursement from payers. It is projected that this “may also lead to more realistic assessments of the market value of novel devices earlier in the development cycle”, which in turn could lead to greater investments and potential venture partnerships. The improvement of diagnostics and treatments for infectious diseases will provide greater opportunities for growth in both developed and emerging countries. Globally, providers are reacting to market-driven changes that render traditional approaches to healthcare obsolete. The global population is increasing and aging, resulting in a greater demand for medical staff.19 However, the industry faces a shortage, especially of physicians.20 The number of doctors per 1,000 people is expected to remain the same through 2015. In Europe and Asia, the shortage is expected to become more problematic over the next few years, which could affect the delivery of even the most basic forms of medical care. Asia overall seems to be faring better than Europe, although coverage across the continent is still uneven, with countries such as China, Indonesia, Vietnam and India struggling to keep up with the needs of patients. There is also a lack of healthcare infrastructure to keep up with patient needs. Hospitals in both developed and emerging markets around the world cannot provide adequate basic care. For instance, in many nations there is a lack of hospital beds. According to studies by Deloitte, countries such as Brazil lack primary care infrastructure; this results in patients going directly to hospitals, raising both costs and hospitalization rates. Additionally, access to care may be difficult for those in underinvested areas, such as smaller towns and rural enclaves, where residents are also likely to have a high out-of-pocket expenditure. These patients are either unable to access healthcare or pay large amounts for treatment at a more advanced stage of the disease. 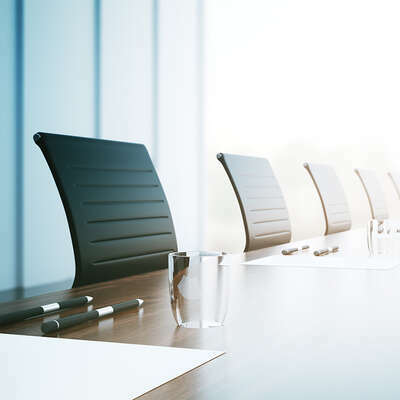 Given the array of other issues and changes likely to ensue, the increasing turnover rate raises a number of questions about leadership in the industry. For one, “if hospitals and health systems cannot retain leaders, how can they address the long-term goals they set for their institutions?” And, “how can CEOs establish culture and encourage change if they aren’t around long enough to see change realized?”30 Successful companies must look for strong leaders – and incentivize and retain them – to execute their strategic vision. The following firms epitomize the changes taking place in the evolving healthcare industry. The biopharmaceutical industry is one of the leading job generators for the United States. It employs over 810,000 people and supports another 3.4 million jobs nationwide. Notably, it invests the most capital for R&D per employee than any other industry, which is thought to drive its huge economic impact. 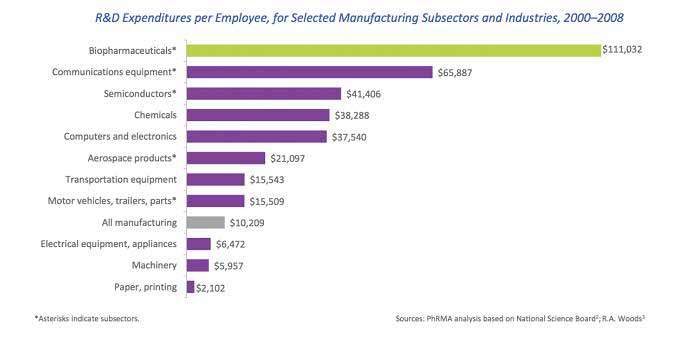 Since 2000, PhRMA (Pharmaceutical Research and Manufacturers of America) members have invested over half a trillion in R&D, with $51.1 billion in 2013 alone. The pharmaceutical industry in the United States is extensive, and comprised of four subsectors. First, the innovative pharmaceutical industry is responsible for producing “chemically derived drugs developed as a result of extensive R&D and clinical trials in both humans and animals.” This is the pharma industry in its most traditional sense, and it relies heavily on intellectual property and patent protection. Only a few major global companies produce the majority of products, but they have begun to rely on external groups (partners, smaller manufacturers, etc.) for research. Do-it-yourself healthcare - More than half of clinicians are comfortable with mobile apps/devices monitoring vital signs. Making the leap from mobile app to medical device - A majority (86%) of clinicians feel that mobile apps will become increasingly important to physicians for patient health management over the next few years. Balancing privacy and convenience - Nearly a quarter of U.S. customers said data security trumps convenience when dealing with doctor’s notes and diagnoses. High-cost patients sparking cost-saving innovations - Only 1% of all patients consume 20% of the U.S.’s healthcare spending. Putting a price on positive outcomes - Demand for new evidence is increasing, and definitions of positive health outcomes are expected. 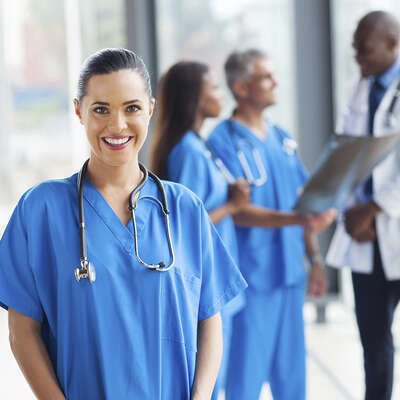 Physician extenders seeing an expanded role in patient care - Nurses, nurse practitioners, physician assistants and pharmacists will do more, often becoming the first line of care for patients. Redefining health and well-being for the millennial generation - Employers and insurers must look for fresh ways to engage, retain and attract the millennials, the next generation of healthcare consumers. Partnering to win - Joint ventures, open collaboration platforms, and non-traditional partnerships will push healthcare companies out of the traditional model and toward new competitive strategies. 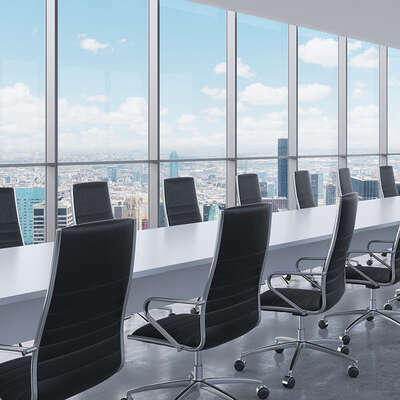 Many U.S.-based companies are now attempting to relocate their headquarters abroad, in order to avoid the strict tax burden at home. This process, called inversion, is discouraged by the U.S. government. In fact, regulations from the Treasury Department will block certain techniques being used to lower corporate tax bills, and make it harder to move overseas by “tightening the ownership requirements (companies) must meet.”48 Critics in the industry insist that a change in U.S. tax structure must take place, as the nation is at risk of losing huge, revenue-generating and job-generating corporations. With its single-payer healthcare system, Canada sees a continuing demand for executives who are successful at leading large, complex healthcare systems. Additionally, healthcare executives must find ways to manage costs and create alternative sources of revenue, since healthcare spending in the country has slowed. Projections for 2013-2014 put it at its slowest growth rate since 1997 at 2.1%. For the period of 2014-2018, spending is forecast to rise slightly, by an average of 4.5% a year.49 The long-term sustainability of publicly funded healthcare is the number one challenge facing governments today; this has resulted in a variety of initiatives, including system consolidation, enhanced use of technology in clinical practice and administration, and discussions regarding scope of practice for healthcare professionals in order to bring about new ways of delivering healthcare services. All of these factors drive the need for healthcare executives at the provincial, regional, and hospital facility levels who are adept at strategic leadership, change management, and implementing best practices. Supply of these executives is limited due to system consolidation, as the number of development opportunities at the senior level has declined. While the state of the healthcare sector is uncertain throughout Europe, southern Europe is expected to suffer the most over the next few years. For example, health spending in Portugal is not expected to recover until 2017, and in Greece and Spain, until 2016. In Western Europe, the United Kingdom is also suffering due to constraints on medical spending, which will lead to tighter reimbursement policies, and as a result, higher out-of-pocket costs for patients. The Indian healthcare industry has seen tremendous growth and become one of the country’s largest sectors. This growth can be attributed to “strengthening coverage, services, and increasing expenditure” from both public and private actors. India’s market value is expected to reach US $280 billion in the next five years. According to PwC, the fastest growing segment of India’s healthcare industry is the diagnostic market. Due to the new availability and affordability of healthcare in this country, services like diagnostics, pharmacies, and equipment are now also in demand. Notably, India has become a base for many clinical trials due to the low cost of procedures. By 2020, the population of Latin America will reach 665 million, with the urban populace accounting for 80% of the total.68 Latin American healthcare spending is expected to rise by an average of 6.8% per year from 2013-2017.69 The healthcare sector in the region must continue to adapt to rising demand resulting from an aging population, high rates of chronic diseases, increased urbanization, and government inefficiencies. These factors pose risks to providing high-quality, affordable healthcare, especially to underserved populations. According to Americas Market Intelligence, the population of seniors (aged 60 or above) is expected to increase to 83 million by 2020. 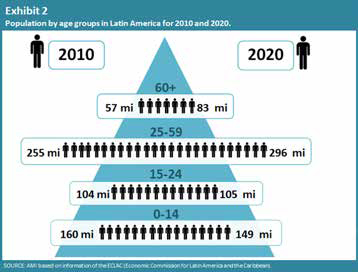 This is nearly double the senior population in Latin America in the year 2000.70 A larger population, along with high rates of chronic diseases such as diabetes, cancer, and cardiovascular diseases, means that the private and public healthcare sectors must adapt to the consequential increased demand for healthcare services. For government-subsidized healthcare to be more effective, long wait times and high out-of-pocket costs must be decreased. Additionally, the process of obtaining government-subsidized medicine in some countries like Brazil must be made shorter and easier to navigate; often patients who need medication immediately must pay the entire out-of-pocket cost to obtain it from a private distributor. Fortunately telemedicine, the practice of using telecommunications technology to deliver care, could be part of the solution.74 It would enable general practitioners in rural areas to connect with a central hub of experienced medical experts and send patient data, which would then be analysed remotely. Highly qualified physicians at the hub could diagnose the patient, request further examinations, and provide other advice from hundreds of miles away. Brazil, the chief medical market in Latin America, is not only a domestic player, but also a global force. It ranks first in Latin America and is the third-largest pharmaceutical market in the world, behind the United States and Canada.75 Spending is projected to rise to $255.5 billion by 2017. The local generics industry is a booming business as a result of government initiatives to provide low-cost medicines to consumers, and has rapidly captured significant market share since its inception in the early 2000s. Furthermore, the private health insurance industry is rife with opportunities. A quarter of Brazilians can currently afford private health insurance, and this number is expected to increase as more Brazilians become part of the middle class. Healthcare IT is also on the rise. As Gartner had predicted, the region saw a huge increase in spending on internal services, software, IT services, data centres, devices, and telecom services in 2014.78 While improvements have been made, MENA still must significantly accelerate development to be on par with its neighbours to the north and west. Executives should be aware of this and work towards establishing a strong foundation and focus on providing the healthcare necessities to a population in need. Americas Market Intelligence. (2012). The Latin American Consumer of 2020. Retrieved from http://www.americasmi.com/en_US/expertise/articles-trends/page/the-latin-american-consumer-of-2020. Anderson, A. (2014). The Impact of the Affordable Care Act on the Health Care Workforce. The Heritage Foundation. Retrieved from http://www.heritage.org/research/reports/2014/03/the-impact-of-the-affordable-care-act-on-the-health-care-workforce. Becker’s Hospital Review. (2014, December 5). The top 14 healthcare stories of 2014. Retrieved from http://www.beckershospitalreview.com/hospital-management-administration/the-top-14-healthcare-stories-of-2014.html. Burg, N. (2014, November 10). How Big Data Will Help Save Healthcare. Forbes Magazine. Retrieved January 22, 2015 from http://www.forbes.com/sites/castlight/2014/11/10/how-big-data-will-help-save-healthcare/. Canadian Institute for Health Information. (2014). National Health Expenditure Trends, 1975 to 2014. 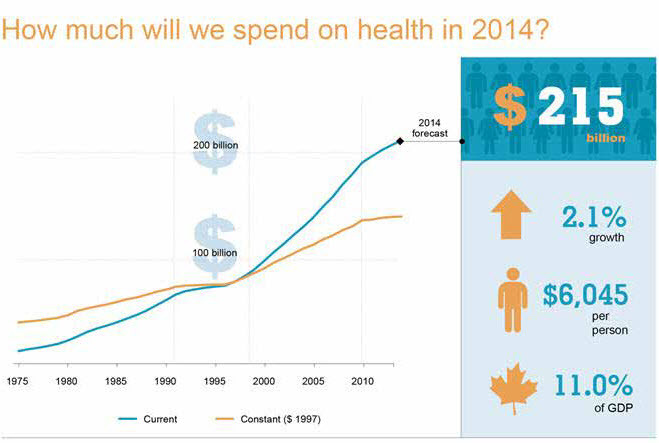 Retrieved from http://www.cihi.ca/web/resource/en/nhex_2014_report_en.pdf. Caramenico, A. (2013, June 4). Bridging the generation gap in healthcare leadership. Fierce Healthcare. Retrieved from http://www.fiercehealthcare.com/story/bridging-generation-gap-healthcare-leadership/2013-06-04. Dallas, K. (2014). What to expect from the Affordable Care Act in 2015. Deseret News National. Retrieved from http://national.deseretnews.com/article/3170/what-to-expect-from-the-affordable-care-act-in-2015.html. Deloitte. (2013). 2014 Health Care Providers Outlook: Interview with Mitch Morris, M.D. Retrieved from http://www2.deloitte.com/us/en/pages/life-sciences-and-health-care/articles/2014-health-care-providers-outlook.html. Deloitte. (2014). 2014 Global Health Care Outlook: Shared challenges, shared opportunities. Retrieved from https://www2.deloitte.com/content/dam/Deloitte/global/Documents/Life-Sciences-Health-Care/dttl-lshc-2014-global-health-care-sector-report.pdf. Deloitte. (2014). 2015 Global Life Sciences Outlook: Adapting in an era of transformation. Retrieved from http://www2.deloitte.com/content/dam/Deloitte/global/Documents/Life-Sciences-Health-Care/gx-lshc-2015-life-sciences-report.pdf. DiJulio, B., Firth, J. and Brodie, M. (2014). Kaiser Health Policy Tracking Poll: December 2014. Retrieved from http://kff.org/health-reform/poll-finding/kaiser-health-policy-tracking-poll-december-2014/. Fisher, N. (2014, November 21). 7 Trends Driving Global Health And Life Sciences In 2015. Forbes Magazine. Retrieved January 22, 2015 from http://www.forbes.com/sites/nicolefisher/2014/11/21/7-trends-driving-global-health-and-life-science-in-2015/. FTI Consulting. (2014). FTI Healthcare Summit. Generics and Biosimilars Initiative. (2014). The Brazilian generics market. Mol, Belgium: Author. Retrieved from http://www.gabionline.net/Reports/The-Brazilian-generics-market. Gartner. (2014, December 4). Gartner Says Healthcare Providers in Middle East and North Africa to Spend US $3 Billion on IT in 2014 [Press release]. Retrieved from http://www.gartner.com/newsroom/id/2935017. Grant, K. (2014). Government health care spending, and how much seniors account for. The Globe and Mail. Retrieved from http://www.theglobeandmail.com/life/health-and-fitness/health/government-health-care-spending-and-how-much-seniors-account-for/article21395533/. Groux, C. (2012). New Harvard Medical Center Works to Attract Student Physicians. U.S. News University Directory. Retrieved from http://www.usnewsuniversitydirectory.com/articles/new-harvard-medical-center-works-to-attract-studen_12314.aspx#.VMFqiUfF-Sp. Hansson, E., Spencer, B., Kent, J., Clawson, J., Meerkatt, H. & Larsson, S. (2014, September 9). The Value-Based Hospital. BCG Perspectives. 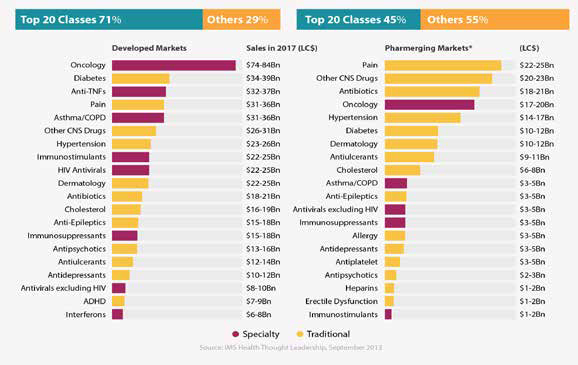 Retrieved from https://www.bcgperspectives.com/content/articles/health_care_payers_providers_transformation_large_scale_change_value_based_hospital/. Healthcare Provider Industry Trends and Technology Business Drivers. (n.d.). Retrieved from http://www.maastary.com/healthcare-provider-industry-trends/. Hillhouse, E. & Wartman, S. (2014, January 11). Improving health care in the Middle East and North Africa. The Lancelet. Retrieved from http://www.thelancet.com/pdfs/journals/lancet/PIIS0140-6736(14)60025-8.pdf. HIT Consultant. (2014). PwC: Top 10 Healthcare Industry Issues to Watch in 2015. Atlanta, GA: Author. Retrieved from http://hitconsultant.net/2014/12/04/pwc-top-10-healthcare-industry-issues-to-watch-in-2015/. IMS Institute for Healthcare Informatics. (2012). The Global Use of Medicines: Outlook Through 2016. Danbury, CT: Author. Retrieved from http://www.imshealth.com/deployedfiles/ims/Global/Content/Insights/IMS%20Institute%20for%20Healthcare%20Informatics/Global%20Use%20of%20Meds%202011/Medicines_Outlook_Through_2016_Report.pdf. IMS Institute of Healthcare Informatics. (2013). The Global Use of Medicines: Outlook through 2017. Danbury, CT: Author. Retrieved from http://www.imshealth.com/deployedfiles/imshealth/Global/Content/Corporate/IMS%20Health%20Institute/Reports/Global_Use_of_Meds_Outlook_2017/IIHI_Global_Use_of_Meds_Report_2013.pdf. India Brand Equity Foundation. (2014). Healthcare Industry in India. Haryana, India: Author. Retrieved from http://www.ibef.org/industry/healthcare-india.aspx. Kliff, S. (2012). Everything you ever wanted to know about Canadian health care in one post. The Washington Post. Retrieved from http://www.washingtonpost.com/blogs/wonkblog/wp/2012/07/01/everything-you-ever-wanted-to-know-about-canadian-health-care-in-one-post/. KPMG. (2012). Trends, risks and opportunities in healthcare. New York, NY: Author. Retrieved from http://www.kpmg.com/global/en/issuesandinsights/articlespublications/care-in-a-changing-world/pages/trends-risks-opportunities.aspx. KPMG. (2014). Healthcare India. New York, NY: Author. Retrieved from http://www.kpmg.com/in/en/industry/pages/healthcare.aspx. KPMG. (2014, February 7). What’s next for healthcare: The consumerization of healthcare. New York, NY: Author. Retrieved from http://www.kpmg.com/Global/en/IssuesAndInsights/ArticlesPublications/whats-next-for-healthcare/Pages/cynthia-ambres-consumerization-healthcare.aspx. Martin, J. (2015, January 7). The next big hire for health systems: a marketing officer. Houston Biz Blog. Retrieved from http://www.bizjournals.com/houston/blog/2015/01/the-next-big-hire-for-health-systems-a-marketing.html. McKinsey & Company. (2011). Perspectives on healthcare in Latin America. New York, NY: Author. Retrieved from http://www.mckinsey.com.br/LatAm4/Data/Perspectives_on_Healthcare_in_Latin_America.pdf. McKinsey & Company. (2012). Health care in China: Entering ‘uncharted waters’. New York, NY: Author. 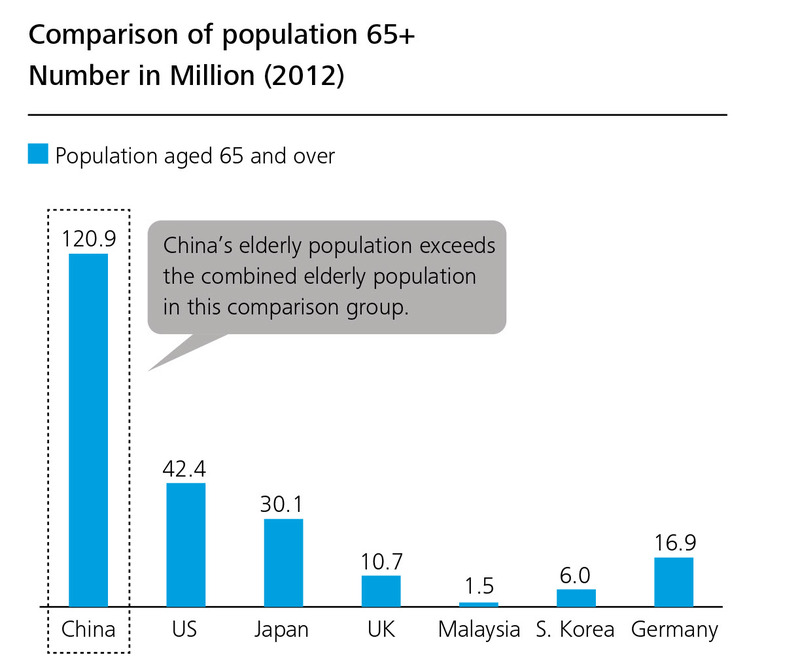 Retrieved from http://www.mckinsey.com/insights/health_systems_and_services/health_care_in_china_entering_uncharted_waters. Modern Healthcare. (2014). U.S. cracks down on companies moving overseas. New York, NY: Author. Retrieved from http://www.modernhealthcare.com/article/20140923/INFO/309239927. National Human Genome Research Institute. (2011). DNA Sequencing. Bethesda, MD: Author. Retrieved from http://www.genome.gov/10001177. Navigant. (2014). Navigant Center for Healthcare Research and Policy Analysis Identifies Key Areas to Watch in 2015. Chicago, IL: Author. Retrieved from http://www.navigant.com/insights/library/industry-news/2015-healthcare-trends/. New White Paper Heralds 2015 Medical Device Trends (2014, November 18). Retrieved from http://www.healthdec.com/blog/white-paper-heralding-2015-medical-device-trends/. Palmquist, D. (2014, December 15). Five Trends to Watch in 2015. Pharmaceutical Manufacturing. Retrieved January 10, 2015, from http://www.pharmamanufacturing.com/articles/2014/five-trends-to-watch-in-2015/. Perkowski, J. (2014). Health Care: A Trillion Dollar Industry In The Making. Forbes. Retrieved from http://www.forbes.com/sites/jackperkowski/2014/11/12/health-care-a-trillion-dollar-industry-in-the-making/. Pharmaceutical Executive. (2014). 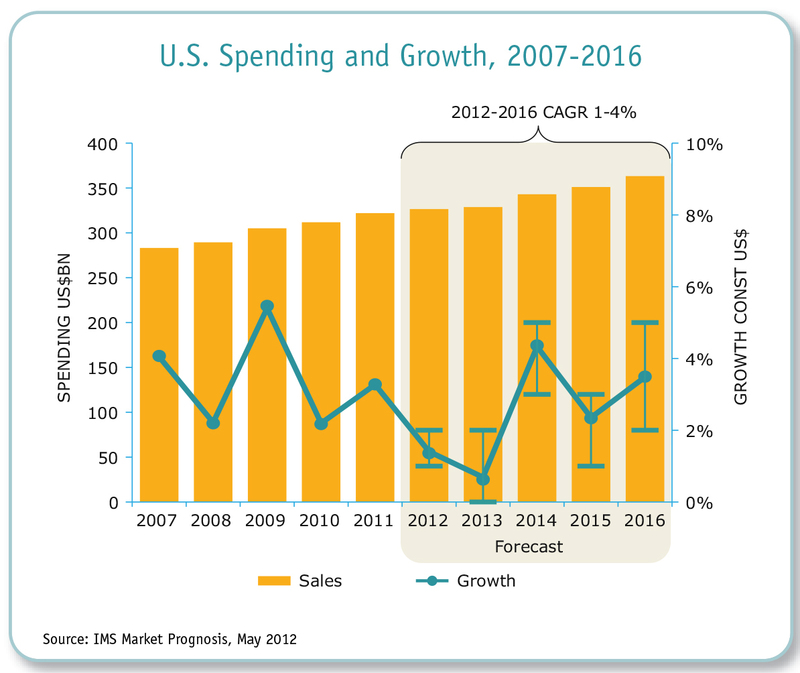 2015 Pharm Science Strategic Outlook: An Industry in Flux: 2014-2015 Market Trends. New York, NY: Author. Retrieved from http://images.alfresco.advanstar.com/alfresco_images/pharma/2014/11/25/6b62704d-511b-4b8b-8d26-406a753f1e0a/article-856395.pdf. PhRMA (2014). The Biopharmaceutical Industry Helps Strengthen the U.S. Economy. Washington, DC: Author. Retrieved from http://www.phrma.org/economic-impact. PMLiVE. (2014). 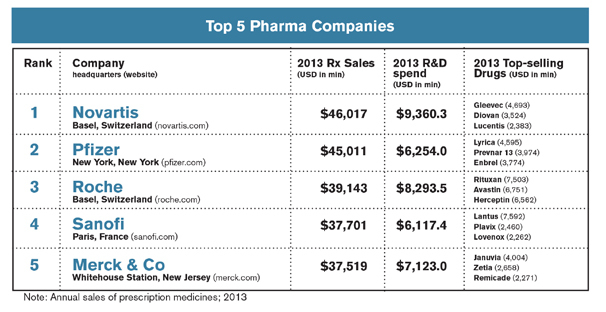 Top Pharma List: Sanofi. Surrey, United Kingdom. Retrieved from http://www.pmlive.com/top_pharma_list/pharma_companies/sanofi. Price, E. (2014, December 9). Biotech and Generic Drugs: 2015 Trends and Predictions. Pharmaceutical Processing. Retrieved from http://www.pharmpro.com/blogs/2014/12/biotech-and-generic-drugs-2015-trends-and-predictions. PwC. (2015). The CEO Agenda: Healthcare. New York, NY: Author. 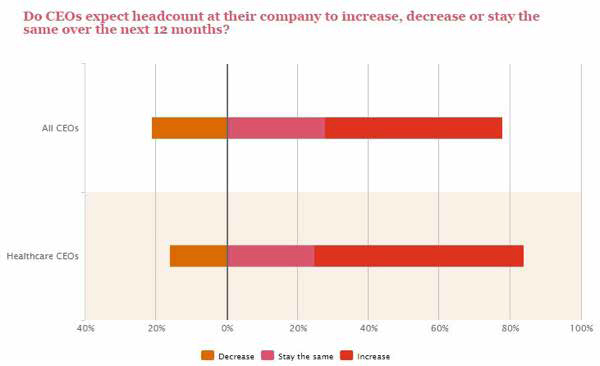 Retrieved from http://www.pwc.com/gx/en/ceo-survey/2015/industry/healthcare.jhtml. PwC. (2015.) The CEO Agenda: Explore the data. New York, NY: Author. 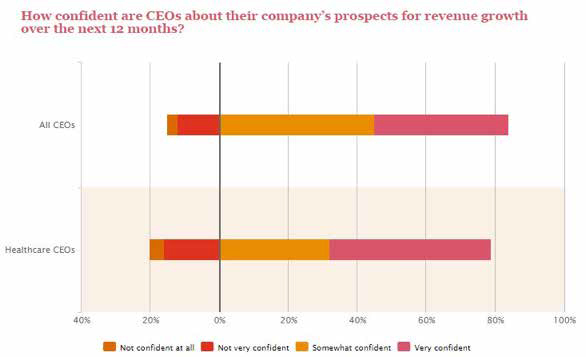 Retrieved from http://www.pwc.com/gx/en/ceo-survey/2015/explore-the-data.jhtml. Rockoff, Johnathan D. (2014). J&J Hires Chief Design Officer. http://www.wsj.com/articles/SB10001424052702304256404579449290361956838. Roudi-Fahimi, F. (2006). Gender and Equity in Access to Health Care Services in the Middle East and North Africa. Population Reference Bureau. Retrieved from http://www.prb.org/Publications/Articles/2006/GenderandEquityinAccesstoHealthCareServicesintheMiddleEastandNorthAfrica.aspx. Sanofi. (2014). Sanofi Appoints Dr. Anne C. Beal to the Newly Created Position of Chief Patient Officer. Paris, France: Author. Retrieved from http://en.sanofi.com/Images/35990_20140331_cpo_en.pdf. SelectUSA. (2014). The Pharmaceutical and Biotech Industries in the United States. Washington, DC: Author. Retrieved from http://selectusa.commerce.gov/industry-snapshots/pharmaceutical-and-biotech-industries-united-states. Sewell, L. (2014). Health technology trends in Latin America and Brazil. PharmaPhorum. Surrey, United Kingdom: Author. Retrieved from http://www.pharmaphorum.com/articles/health-technology-trends-in-latin-america-and-brazil. Silverman, E. (2014). Drug Prices, Generics and M&A: What to Watch in 2015. The Wall Street Journal. Retrieved from http://blogs.wsj.com/pharmalot/2014/12/29/drug-prices-generics-and-ma-what-to-watch-in-2015/. Sullivan, K. (2014, January 29). Top healthcare CEO compensation trends in 2014. Fierce Healthcare. Retrieved from http://www.fiercehealthcare.com/story/top-healthcare-ceo-compensation-trends-2014/2014-01-29. The Advisory Board Company. (2014, December 3). The latest industry transitions. Washington, DC: Author. Retrieved from http://www.advisory.com/daily-briefing/2014/12/03/the-latest-industry-transitions. The Guardian. (2015). US approvals of new medicines reaches new high. Retrieved from http://www.theguardian.com/business/2015/jan/01/us-approvals-new-medicines-rapid-rise. The Institute for Healthcare and Consumerism. (n.d.).The Consumerization Of Healthcare: What Patient Experience Means To Our Future. Retrieved from http://www.theihcc.com/en/communities/health_care_consumerism/the-consumerization-of-healthcare-what-patient-exp_h333dkhj.html. The Leadership Development Group. (2014). 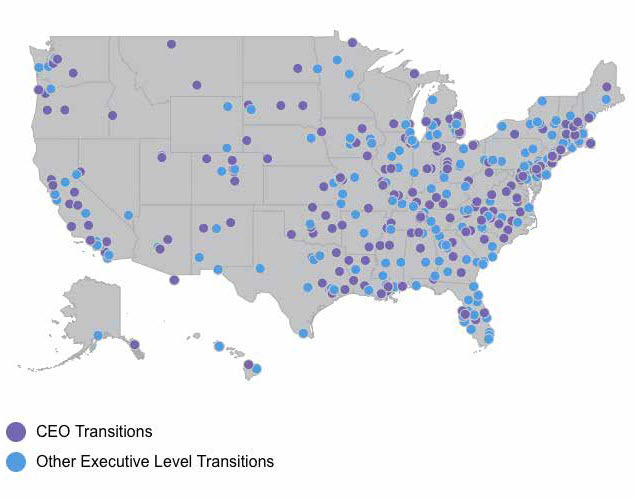 2014 Hospital CEO Survey on Succession Planning. Columbus, OH: Author. Retrieved from http://www.tldgroupinc.com/2014_CEO_Survey.html. Wheatley, M. (2014, November, 25). Inside the DNA of Big Data: The future of medicine & storage. Silicon Angle. Retrieved from http://siliconangle.com/blog/2013/11/25/inside-the-dna-of-big-data-the-future-of-medicine-storage/. Windsor, M. (2014, December 24). 5 Trends in Medical Technology for 2015. Medical Design Technology Magazine. Retrieved from http://www.mdtmag.com/blogs/2014/12/5-trends-medical-technology-2015.